The long-anticipated all-new 2019 Volkswagen Arteon is coming soon to Southern California showroom floors. Check out the test drive and our review when VW brought the Arteon out to Ontario Volkswagen. 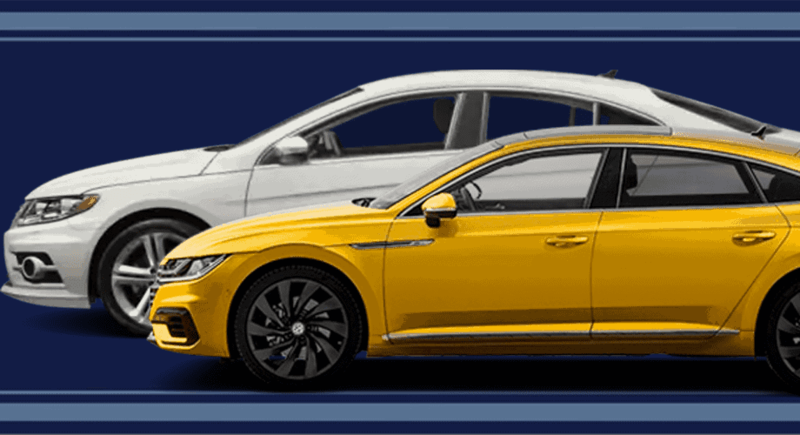 The Arteon replaces the 2017 Volkswagen CC as the largest sedan Volkswagen offers. In this iDriveSoCal Podcast, we connect with Randy Halcomb from Ontario Volkswagen – (Ontario VW is one of several SoCal auto dealerships iDSC is proud to partner with). Randy joins me for a special preview of the Arteon, and to share details on a few remaining CC’s still on the lot Ontario Volkswagen – available for purchase at nearly a third of their original price! Randy Halcomb: I had chance to drive it, and was really blown away with the acceleration, the power. I love the sleek exterior where it’s the four-door, but it looks like a coupe. Tom Smith: Welcome to iDriveSoCal, the podcast all about mobility from the automotive capital of the United States, Southern California. Tom Smith here. And today, I am out at … We, you and I, Mr. and Mrs. podcast listener, we are out at Ontario Volkswagen in the Los Angeles suburb of Ontario, California. And joining me, joining us, is Mr. Randy Halcomb of Ontario Volkswagen. Randy, thanks for coming aboard. Randy Halcomb: Thank you. Good to have you out here again. And we love doing this. Tom Smith: So, the topic that Randy and I are covering today, it’s a little bit different. As usual on the iDriveSoCal Podcast, how many of these do I open with, “Now, we’re going to do it a little bit different.” We’re going to do it a little bit different again. So, we have … Volkswagen has the Volkswagen CC. The CC has been the largest sedan that Volkswagen has offered. And as everyone that follows automotive, as well as Volkswagen, knows, the Arteon is going to be coming out here any minute now, right? I mean, pretty much. Randy Halcomb: Yes. It was, I think, slated the third quarter of 2018. And so, I’m assuming that, you know, probably here in the next month or two that it should start getting released. Tom Smith: So, Volkswagen is going to alert you guys, but it’s coming, and it’s already out in Europe. And the Arteon has a lot of fanfare that is following it. It’s a beautiful vehicle. We’re going to touch a little bit on that in a minute, but before we get to that, again, a little bit different on the iDriveSoCal Podcast, we’re going to talk about the couple of CCs, Volkswagen CC vehicles that are sitting on the lot here at Ontario Volkswagen right now. And they are ridiculous buys. Now, as you listen to the iDriveSoCal Podcast, I don’t think you’ve ever heard us pitch a deal. That’s not what we do. We’re not a radio station barking deals at you in 30-second, 15-second, or 60-second spots. That’s not what we do. We’re all about educating you, our listening audience, and thank you for listening, and sharing information that can be useful and helpful. Now, in this case, myself personally, I am a huge, huge, huge value buyer. And, in fact, if one of my leases was up right now, and I needed a vehicle, I would probably jump on one of these two deals because it’s such a situation where Volkswagen’s doing away with the CC. So, that model is going away. But to be clear, Volkswagen is not going away. So, the manufacturer and the dealer are still standing by behind the vehicle 100%. The vehicle sticker price, I think, is about $36,000-ish, and Ontario Volkswagen has two of them right now that are how much off, Randy? Randy Halcomb: We’ve got them priced out here for $8000 off MSRP, but anybody listening to this podcast, you know, we’ll give them an additional $2000 discount, and we’ll take a total of $10,000 off the MSRP. So, I want to say the MSRP is right around $35,700. So, you’re looking at about $25,700, somewhere around there. Tom Smith: That’s almost a third of the price, right? Randy Halcomb: That’s a lot of savings. Tom Smith: It’s more than … I don’t have my … I have my shoes and socks on right now. I need to do accurate math. I need to remove my shoes, socks, and utilize my fingers, as well as toes. But that’s a darn good deal there. Randy Halcomb: Yeah. I mean, it’s … You know, anybody who’s looking to get, you know, a great value and really get the most for their money, I mean, they can’t go wrong there. I mean, you think, of our Passats and some of our Jettas are in that $25,000 range, $27,000 range. And to get more of an executive type vehicle with more features, more benefits, you know, for the same price, it’s just an incredible deal. And we had the opportunity to go out and test drive it. Randy Halcomb: You know, I’m very, very, you know, taken away that this car that we haven’t had more people on this vehicle here over this last year. Tom Smith: Let’s face it, we’re in Southern California, so there are so many cars, right. Oceans of cars everywhere you turn, and so many deals. So, these diamonds in the rough every now and then come around. And it’s exciting to be able to share this with you, the listener. 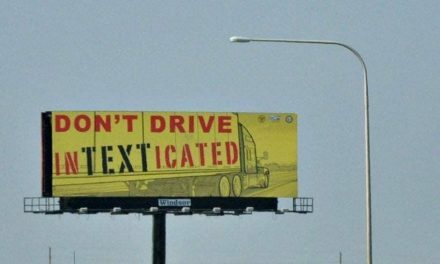 I don’t know if you listening happen to be a Volkswagen driver already, or maybe a competitive driver, or whatever else. To me, again, I’m a value buyer. I love the value. It’s a fantastic deal. And as Randy pointed out, we did drive the car. We went for a little … One of the two of them anyway, went for a little test drive, and grabbed some lunch. And I can tell you that … Well, what was the trim level that we drove? Randy Halcomb: Yeah, it was the Sport. Tom Smith: …Bolsters and everything. Yeah, I love that. So, if this was an official vehicle review with the Professor and I, I would rattle off my top three things. Randy, won’t you go and ask me, what are my top three things about this car? Tom Smith: Randy, I’m glad you asked about what my top three things are. My number one, I’d have to go with the great exterior styling. I love the way the CC looks. Number two, the spaciousness the car has for its class. It has a lot of space. And number three is the performance acceleration. I love being able to step on the gas and feel like I’m in control of the highway, as opposed to the flow of traffic being in control of me. So, those are my top three things. And thanks for asking. Randy Halcomb: No problem. I’ve got a top three too. Tom Smith: All right. Randy, what are your top three things on the CC? Randy Halcomb: I had the chance to drive this car and working for another German manufacturer, BMW, for so many years, I got that feel that it was very, very similar to, you know, that same type of drive, and the way it handled, and, you know, for a fraction of the price. Tom Smith: Yeah, German luxury, right? Randy Halcomb: German luxury, for sure. And as I had the chance to drive it, and was really blown away with the acceleration, the power. But, you know, I love the sleek exterior where it’s the four-door, but it looks like a coupe. Randy Halcomb: So, you know, those people that are looking for that coupe, but still need that space, and haven’t been able to talk themselves into getting a vehicle yet, this might be that car for them. So, I love the way it looks like a coupe. And then, the other, I would say is the value that you get with the CC. Tom Smith: Yeah. Well, you know what, that should have been on my top three as well, the value, but was kind of like the umbrella of this entire premise. Again, we don’t normally pitch a deal on a car, but, in this case, we have two of these. And that bleeds into the Arteon, which is going to be coming out again any minute probably in the next handful of weeks. Volkswagen Ontario, Volkswagen out here should have their hands on them. And boy, what a beautiful car. And in the same vein, right, the executive that still is in a Volkswagen-badge vehicle, the four-door coupe feel, which is kind of funny, right? It’s a four-door coupe or it’s a two-door sedan, whatever it is. Randy Halcomb: So many doors. Tom Smith: …where they took the four-door sedan, and they made a really sporty look, and sloped the behind, the back door, the back wall. The professor would be able to tell you exactly what that point of the car is. I think, that’s the C-pillar. I think that the A pillars are in front. Tom Smith: They really hold up the windshield. Tom Smith: The B pillars are in between front door and back door, front door and back of the car. And then, the C pillar is what holds up the window at the back. Is that correct, Randy? Randy Halcomb: I’m going to agree with you, but I don’t know about the A pillars in the front. Tom Smith: Okay. So, at any rate, the CLS had that. It was a four-door, but it would slope in the back. And it had a real sporty look to a four-door vehicle, and kind of changed our whole perception. And then, since then, many other manufacturers have kind of embraced that, BMW being one of them, and pretty much everybody. But so, that’s what this does. That’s what the Arteon does as well. And it’s a very sporty, aggressive-looking vehicle. Randy, what else can you tell us about the Arteon? Randy Halcomb: Well, a couple of new things that kind of stood out as, you know, looking at some of the information stuff on it is you’re going from a 200 horsepower in the CC to, you know, I think, the top engine on the Arteon is going to have like 276 horsepower. So, plenty of power. And it’s going to be available in, I believe, four different engines or so that have the turbo. And then, it’s going to have its top engine. It’s going to have 276 horsepower. It’s going to be available in 4Motion, three trim levels, that SC, the SCL, and the SCL Premium. Tom Smith: Okay. And just so everybody knows, the 4Motion in Volkswagen terms is all-wheel drive. And that’s all-wheel drive that is electronically controlled. The power is distributed electronically to the wheel that needs it the most depending on the conditions, correct Randy? Randy Halcomb: On the 4Motion, correct. Tom Smith: Okay. So, it’s going to have 4Motion on three different trim levels. What else about the Arteon? Randy Halcomb: … under $50,000 is an incredible value. Tom Smith: Well, it’s Volkswagen. So, you’re talking huge value there. You’re talking a vehicle that will run forever if you buy it and decide to keep it forever, or if you lease it and decide to buy it at the end of the lease. And then, you have, as you point out, all those additional benefits of the styling and the features. And, of course, you’re going to have the Volkswagen Digital Dash as well, which is an awesome piece of technology that Volkswagen’s putting in in its cars. So, the Arteon, again, coming out in just a handful of months to wrap this one up, unless you have anything else, Randy. Randy Halcomb: If you haven’t had chance to see the CC or if you’re interested and taking a look at the new Arteon, they’re going to come out, but we do expect them to move pretty quick. Tom Smith: Randy and Ontario Volkswagen are here to serve. And, again, there’s two CCs left at ridiculous discounts, and the Arteon, you know, stay tuned. As soon as we can get our hands on them here and iDriveSoCal, I’ll drive one or the professor will drive one, or Bernadette will drive one. And I would give you the street dope on the all new 2019. They’re calling it 2019, right? Randy Halcomb: Yeah. By the time we get it, it will be 2019. Tom Smith: 2019 Volkswagen Arteon. Randy, thank you as always for joining me. PreviousThe Future of Transportation – What’s Real & What’s Hype? NextA Car is Stolen Every 45-seconds – How to keep yours safe!